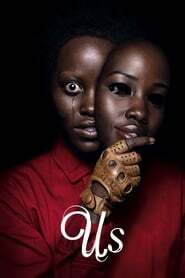 "Jordan peele is one of the best dictators in the world with only two movies and this movie is amazing 96%"
"If you enjoy reading my Spoiler-Free reviews, please follow my blog :) First of all, you can read my review of one of my favorite movies of 2017, Jordan Peele‘s Get Out by clicking its title. One of the best feature-long debuts of all-time by a writer-director who I wish he discovered his filmmaker skills sooner because the horror genre urgently needed someone like him. Peele is starting to become one of Hollywood’s most notable people, and he proves once again, now with Us, that his undeniable talent is going to leave our jaws dropped and our minds confused for quite some years. While I do think that his first film is more consistent and better structured, Us is so far the best movie of the year, and I doubt that it will stop being part of that list by the end of it. The best films are the ones that can transform a 45-min car ride back home from the theater into a blink of an eye. I spent all that time plus some more minutes discussing and arguing with my partner who I saw the movie with. By now, I have a pretty decent understanding of the film’s story and of Lupita‘s character arc, which will definitely leave you extremely confused and mind-blown by the end of the movie. However, I will see it a second time to make sure my “theory” aligns with everything else, especially those tiny little details we don’t really think they matter when they actually do. 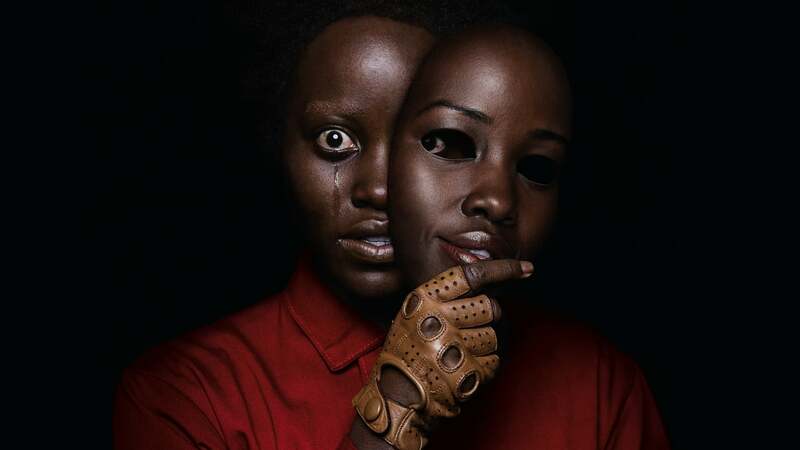 Peele‘s screenplay is thought-provoking and suspenseful, filled with brilliant character development, and surprisingly well-filmed action scenes. I guess he knows how to do anything efficiently. The chasing scenes are riveting, and the fights are bloody awesome. In addition to this, most of the action occurs at night which requires the director to know what he’s doing, so the audience is able to follow what’s happening. I never, not once, lost my place during an action sequence. I knew who everyone was, where were they at, and what were they doing. Nowadays, having in mind how actual action blockbusters are being made, this is the best praise I can give a director regarding these type of scenes. A lot of articles are calling Jordan Peele the “next Spielberg“ or “new Hitchcock“. I’m calling him the first Jordan Peele! I would have loved to be the one who came up with this last sentence, but I wasn’t … and I’m so happy about it. It means that more people are starting to plant into their minds that Peele is one of a kind, not one like the other. His trademark close-up shots right in the actors’ faces can show and tell so much about a character. Besides that, the actors will have a golden opportunity to show their enormous emotional range, their incredible expressions, their limitless talent … That is if you are someone like Lupita Nyong’o. Right after I watched Alita: Battle Angel, I called that it would get an Oscar nomination for Best Visuals Effects, and I still stand by it. Well, I also want to be the first to call not only an Oscar nom, but a Best Actress win for Lupita. Daniel Kaluuya was outstanding in Get Out, but Lupita surpasses his fellow comrade with two (!) powerfully captivating performances. As the original mother, she shows kindness and endearing traits. As her doppelganger, she’s scary, menacing, and evil. Two completely different characters with distinct physical and psychological characteristics are no problem for Lupita. She handles them in such a flawless and effortless manner, carrying the entire narrative on her shoulders like it was nothing. She deserves every recognition there is. Nonetheless, she still received great help from the remaining cast. Winston Duke (Gabe Wilson) is hilarious, and he’s the primary source of comedy throughout the film. With a remarkable balance of tones, Peele lets Duke shine in a role that he thrives on. Us can be very heavy and dark at times, so a good laugh here and there is always welcome. The young actors are also great, but I have to congratulate Shahadi Wright Joseph‘s performance as Zora Wilson. She has approximately the same age Amandla Stenberg had in The Hunger Games. At the time, I knew Stenberg would be an outstanding actress, and I was not wrong. Now, I’m 100% certain that Shahadi will be an exceptional one if she isn’t already. Technically, I already wrote above how talented Peele is. From his seamless ability to film action sequences in the dark to his brilliantly-written screenplay, he nails almost every aspect of his movie. The score beautifully accompanies the narrative with cool, rhythmic songs when everything seems fine, and with loud, angelically weird voices that instantly change the tone. Flawless editing helps hide some nitpicks I have with some exposition scenes, especially towards the end. While I understand that the story has a lot to take in once “explained”, I believe Peele does so in a slightly too fast monologue that I think some people won’t quite enjoy. For me, I would have loved total ambiguity. If they didn’t explain a thing, I would have been ecstatic, but I understand the need to do it. My other gripe with the film is the other family, portrayed mainly by the always astonishing Elizabeth Moss (Kitty Tyler), and Tim Heidecker (Josh Tyler). Thinking about them and their importance to the story, I find that either they could have been better utilized or they shouldn’t even exist. It’s the middle ground between these two options that bothers me a little since it feels like these two remarkable actors, especially Moss, were left aside too much. They are indeed relevant to elevate the story as a whole, but I still wish they were explored a bit better. Sadly, I think audiences will like Get Out more, even though Us has more of the horror genre’s traits than the first. Not only due to the story being more comfortable to follow and ultimately understand (some people actually left my theater way before the end … shame on you! ), but also because it has a definite ending. Unfortunately, people don’t really like to think about a movie after it finished, so if it has some sort of open-ending, they’re going to be mad. That’s what happens if you go into Us expecting a cheap horror film, filled with cliche jump scares, and hollow characters. This is not a scary flick. It is a horror movie, and a phenomenal one. In case you want a simple, spoiler-free advice on how to approach the film’s story, I’ll leave just one small sentence after my rating. Jordan Peele is one of a kind. He is not like anyone else. Once again, he offers a thought-provoking, deeply layered, and incredibly suspenseful narrative. Captivating and entertaining from beginning to end, with no misstep along the way. Technically seamless, with his emotionally-driven trademark close-ups on the characters faces being a standout. Lupita Nyong’o delivers what I believe it’s her career-best performance(s), which should grab her not only a bunch of award nominations, but wins as well. Brilliant cast, tonally well-balanced with hilarious comedy, and filled with excitingly scary action sequences. Us does not have a single interpretation. My perspective is not right or wrong, it’s just my point of view. It’s one of those movies you can watch time and time again, and each viewing will give you another insight that you missed before. However, I do think that what happens at the very end, it’s true, and I have more than enough hints throughout the film to sustain my opinion. Despite some minor issues/nitpicks, it’s undoubtedly the best movie of 2019 so far, and I highly doubt it will be out of my Top10 by the end of the year. Thank you, Peele, not only for giving us great horror films, but for being yourself. Go see it! Rating: A- Advice: focus on the boy’s actions, and how he reacts to everything he sees or does." "Led by stellar performances and careful directing, Us asks more questions than it answers, giving the audience all the tools needed to solve every single mystery for themselves, making this an uncommonly effective horror masterpiece." "_Us_ is gonna be a tough one to review. Difficult to review without spoilers, which is what I'm gonna do here, but I think even if I was doing spoilers, I'd still struggle. What I will say, is that my feelings on _Us_ went up and down as I sat there and the story progressed. At one point, I was enraptured by a single scene that for a brief moment I got so caught up I felt certain no movie of the year was ever going to be able to top it. But then the scene ended, and shortly after the movie ended and my mind just went to "...It's good". **Definitely** merits watching, re-watching and analysing (there is a **lot** to unpack from _Us_) but maybe not the highest of all available praises. _Final rating:★★★ - I liked it. Would personally recommend you give it a go._"